Was out running today at Rattlesnake Point, getting ready for the first clinic on June 2. The rain more or less held out, and I was able to get 90 minutes in.. Only at one point were the mosquitoes a bit of a nuisance (word of advice: do not drink two cups of coffee before heading out trail running…when nature calls, the mosquitos will come!!!). Been finding some great trails to bring the first group out on..including different terrains, some gentle climbs, and gentle descents. Of course, more challenging up and down’s can always be found! 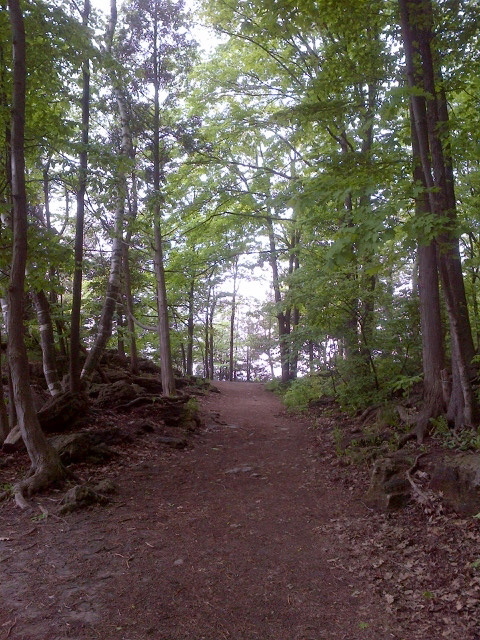 Rattlesnake Point is a great place for trail running-something for everyone! So if you haven’t registered already, don’t forget about the 5 Peaks Trail Race that will be held there on June 8th! « June 2nd Clinic Almost Full!! !